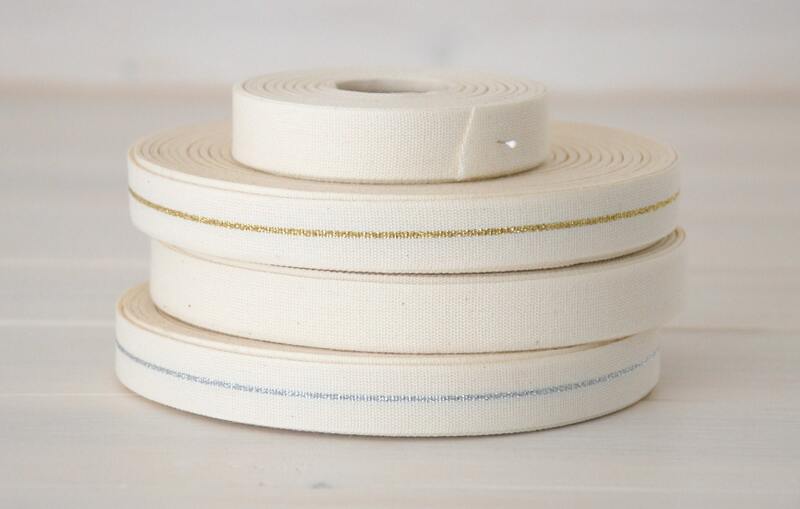 Material: Thin line of metallic thread woven on the natural cotton ribbon. 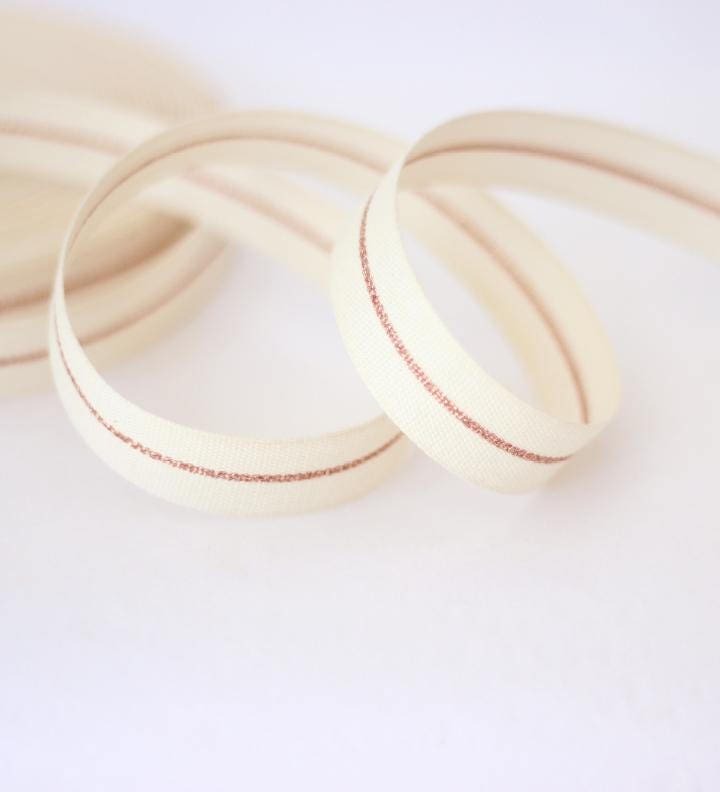 Super gorgeous and elegant natural cotton ribbons with metallic thread! 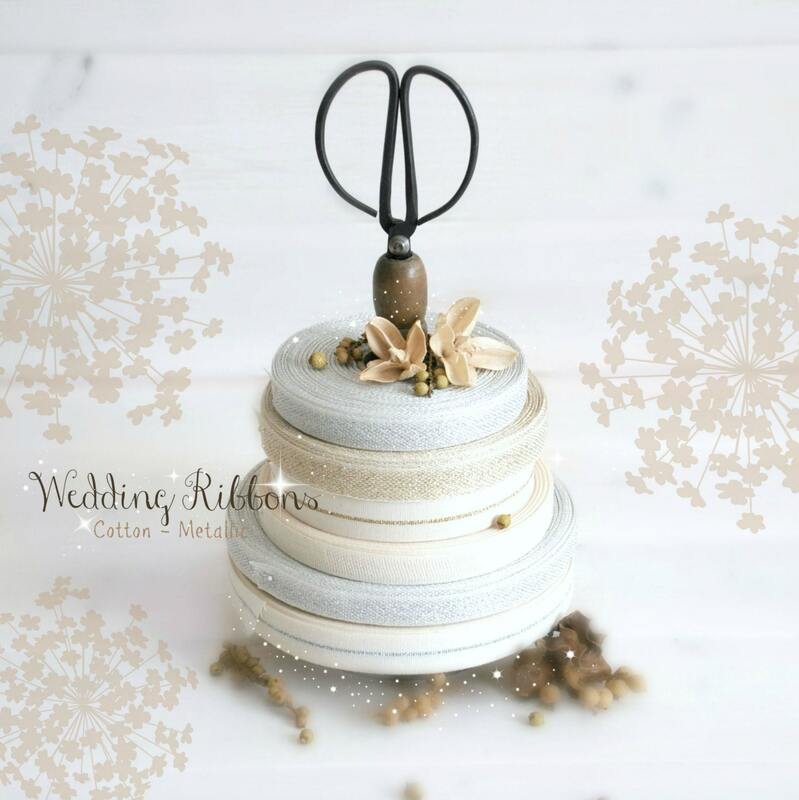 These are perfect for weddings, invitations, fancy gift wrapping, wedding favors, cards, packaging, tags, scrap-booking, etc. 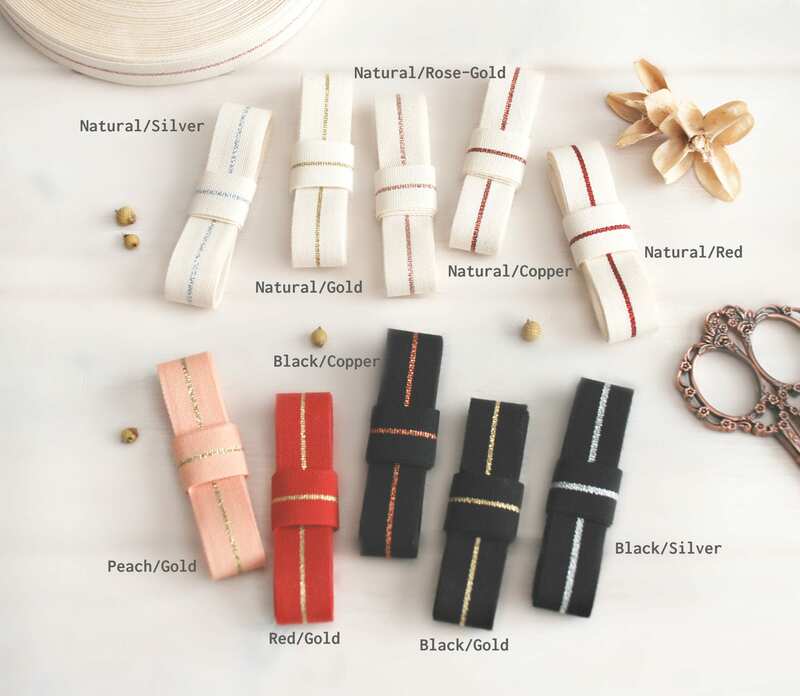 These cotton ribbon are imported directly from Rome, Italy. It is 5/8” (17MM) wide, also known as Fettuccia. - Before purchasing, please make sure to review my shop policies for additional information on terms and conditions. - I try my best that the colors in the pictures represent the colors of the actual product as close as possible. However, due to photography as well as monitor color settings slight differences can occur. - I rolled and measured the Ribbon and I make sure you will never receive less than specified in the product description. - My work shop and storage is pet and smoke free. (I do have pets but they are in other places). ✽SHIPPING SCHEDULE: MONDAY TO FRIDAY: I usually ship within 1-3 business days, however there are some items that will take more time such as: 20 SHEETS AND UP, COLOR CHART and LARGE ORDERS. (Please check the "Schedule to ship by date" on your Etsy Invoice ). I ship all packages to the ship to address specified on your Etsy order. Please, make sure to double check your SHIP TO address to avoid delays or lost packages! Packages that get lost due to an incorrect Ship To address will not be replace or refund. If a package returns back due to an incorrect Ship To address, I will be more than happy to re-ship the package to a different address, but the shipping charges need to be pay again. ✽SHIPPING CHARGES: The shipping price is base on weigh, volume & destination. You will pay a base shipping price for the first item and for every additional item there will be another small fee. However, this is only an estimation of the shipping you may need to pay. If for any reason, the actual shipping is less than what you paid, I will REFUND any shipping overages as I always do for all my customers. ● First Class usually takes 2-5 business days to be deliver after your package has been shipped. (Your order will automatically ship via Priority Mail if it weighs 16oz. or more). ● Priority Class usually takes 1-3 business days to be deliver after your packages has been shipped. ● A tracking number is included with all orders. Is the buyer responsibility to be on top of the whereabouts of the package. Once an order has shipped, you will receive a tracking # via e-mail, packages usually take about 1- 5 business days to be deliver withing the USA if everything goes smoothly with the USPS. If after 7 business days you have not receive your package, you need to contact me immediately!! If I don't hear from you during these 7 business days after I have shipped your order and sent you a tracking confirmation, refunds will not be granted for lost packages. If any package gets DELAY/MISS PLACED/ MISS DELIVERED/LOST by the USPS, we will have to wait 2-3 weeks for me to take any further action, this only applies if you have contacted me withing the 7 business days after I shipped your order. If you can't wait this long for your package to be DELIVERED, FOUND or LOCATED, you will need to re-place the order. ● All International Orders are ship via USPS First Class International Mail but the time of arrival is not guaranteed. Depending on where are you located, packages can take anywhere from 2-5 weeks to arrive. ● International tracking is not always available or reliable outside the USA. (If the tracking shows, that your package has left the country USA, there is nothing I or the USA POSTAL SERVICE can do to locate your package as the package not always get scanned by other postal services outside the USA. If for any reason, your package gets Delay or Lost after it has left the USA, is your responsibility to contact your postal services or custom offices to find out more about your package. ● Refunds are not granted for lost packages. Orders can take from 3 to 7 business days to ship!!! Please make sure to plan ahead! If for any reason, I am running behind schedule, I will make sure to contact you via Etsy, so please check your e-mails regularly. First Class or Priority Class mail: due to the high volume of packages being ship, the Postal Office may delay your packages during Holiday Season. This is totally out of my hands, all I can guaranteed is to ship your package withing the time frame set for the Holidays 3 to 7 Business days. Not happy with your order? If you are not 100% satisfied with your purchase, please contact me right away. WOOL FELT: Effective 5/25/2018 - Please know that nothing is pre-cut, and I will cut each piece of wool felt as per your request and therefore I do NOT accept returns or ex-changes for any wool felt sheets, rolls or yardage. FELT BALLS & FELTED SHAPES: Make sure to read and understand the listing description and the factor "HANDMADE, DYE LOTS, PHOTOGRAPHY & MONITOR SETTINGS". Crafty's Felt Balls are approx. 1cm, 1.5cm, 2cm, 2.5cm, 3cm & 4cm! If you want to return felt balls, a restocking fee of $1.00 per color will be charge or $2.50 for any Mix and Match! (this applies for any order of 75 felt balls or more or any Mix and Match orders. I will accept returns of “UNUSED” merchandise for a refund or exchange. Unfortunately shipping costs cannot be refunded and buyers are responsible for return shipping costs, this applies to all items in the shop. I suggest that all returns and exchanges be sent via a track-able carrier. I am not responsible for packages lost in transit if sent via a non-track-able carrier. I am also not responsible for the cost of shipping of an item back to me for return or exchange. ● YOU NEED TO CONTACT ME WITHIN 3 DAYS OF DELIVERY OR I WILL NOT ACCEPT ANY RETURNS! I WILL NOT GRANT REFUNDS OF ANY ITEMS THAT JUST "SHOW UP" IN MY MAIL BOX! (YOU NEED TO CONTACT ME BEFORE RETURNING ANYTHING). 100% Pure Wool Felt in 136 Yummy Colors!!! All 136 colors are made with 100% Pure Wool Fibers. ✿ It cuts easy & clean, no edges to finish! ✿ It satisfies the *REACH and *EN71 regulations. *REACH (Registration, Evaluation, Authorization and restriction of Chemicals) standard and is dyed according to European and EN71 Regulations (Compliance with this standard is legally required for all toys sold in the EU). » I try my best that the colors in the pictures represent the colors of the actual product as close as possible. However due to photography as well as monitor color settings a slight differences can occur. » Slight color differences may occur between different dye lots. This is normal for many fabrics including wool felt and Cotton Jersey. Also, Felt Balls, Embroidery Thread & Floss, Cotton Ribbons. 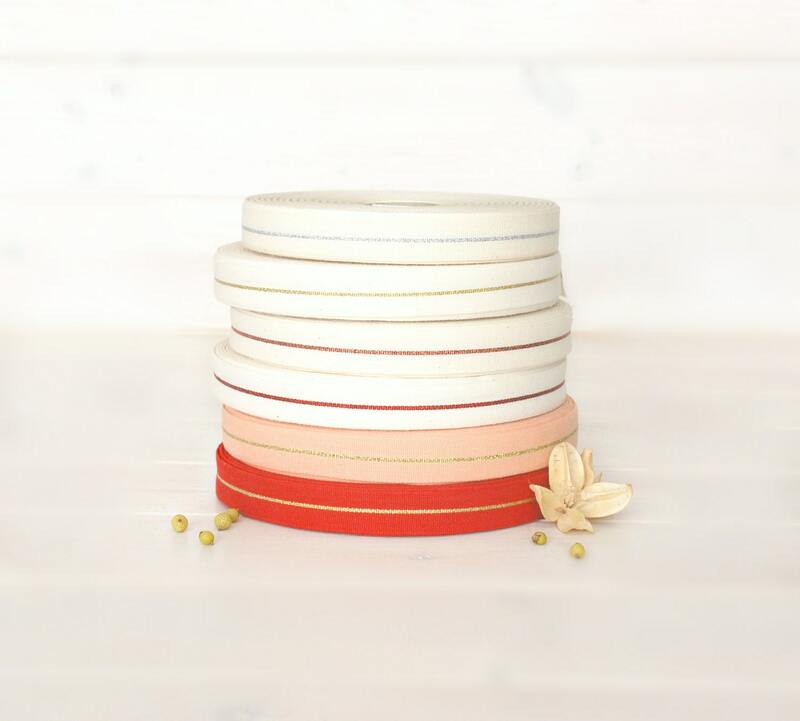 I recommend that you purchase sufficient quantity of each color to complete your project. So pretty! Love my new craft items. Love love love this ribbon! The natural and copper is especially awesome.